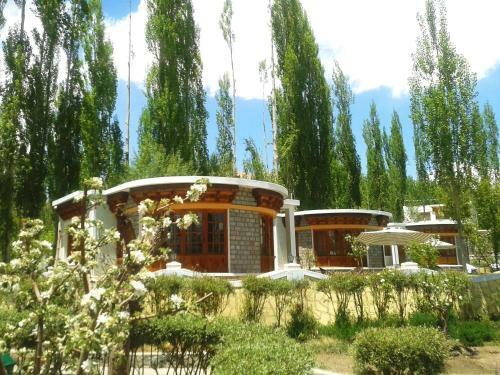 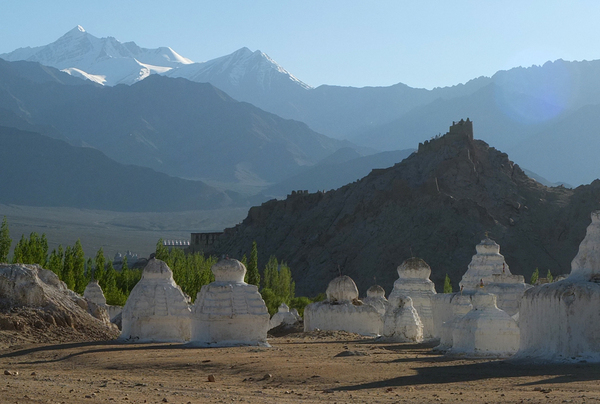 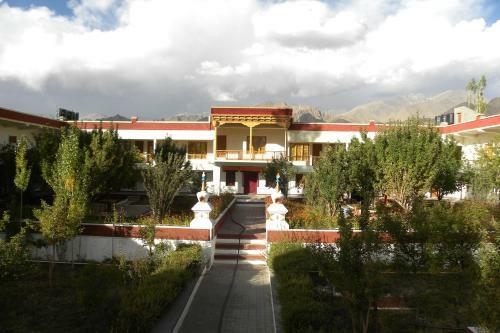 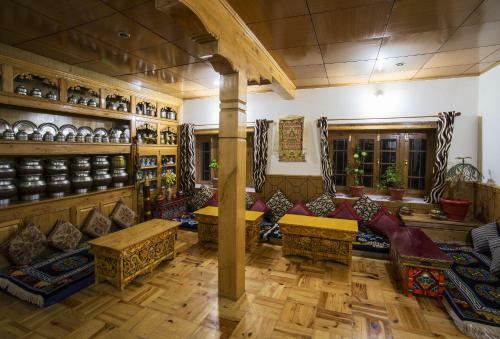 The Druk White Lotus School DWLS is in a part of Ladakh, India, known as 'Little Tibet'. 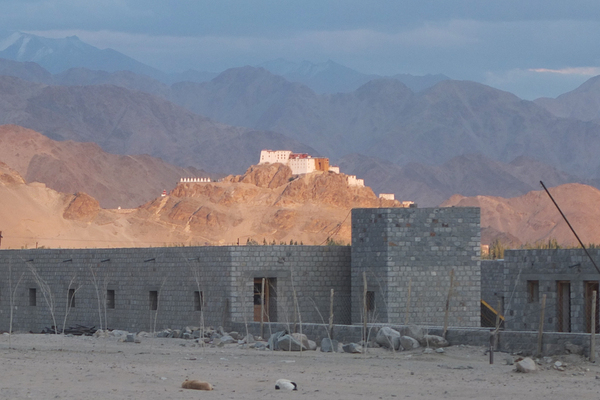 It is built on a Buddhist mandala plan. 'Druk' means 'Dragon' and is the symbol of the Drukpa Lineage. 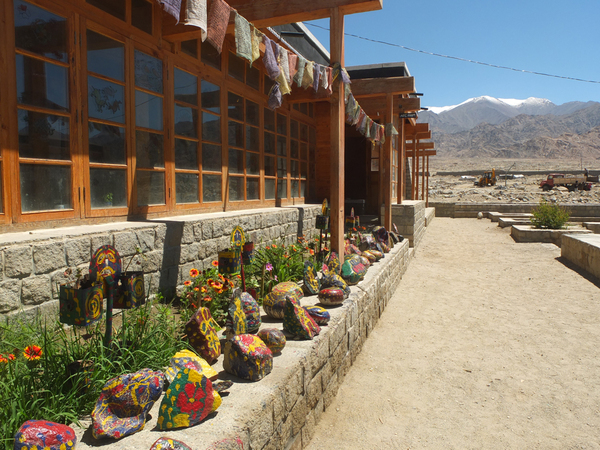 The school was established in a cold desert environment outside the former capital of Ladakh, Shey. As in all the inhabited parts of Ladakh, lush, fruitful and colourful plants can be grown if, and only if, the ground is irrigated. 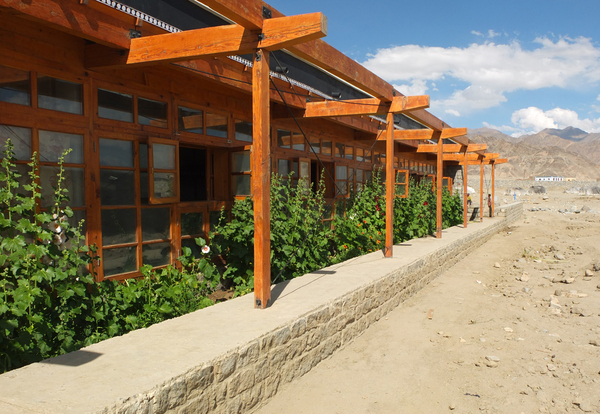 Without irrigation a few 'maquis' type plants survive with difficulty. 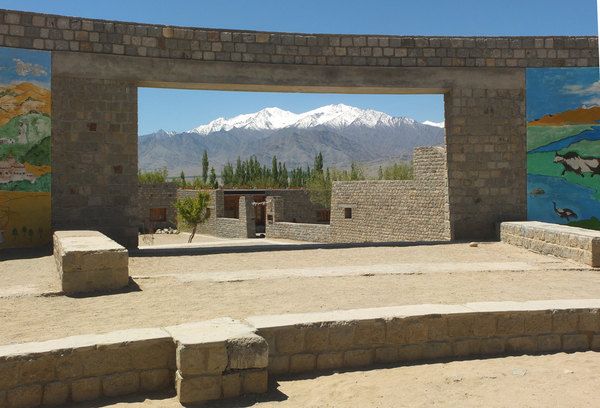 The Dragon School attracts many visitors for seven reasons: (1) it was made famous by an incident in an Amir Khan movie, 3 Idiots, in which one of the cast urinates against a wall in DWLS (2) the school has a brilliant design, by Arup Associates and Arup (3) work has begun on creating a Dragon Garden for the Dragon School (4) the school is set in an outstandingly beautiful landscape. It has views of: Thikse Monastery, Shey Palace and Monastery, the Indus Valley, the sedimentary rocks of the Zanskar Range, the igneous rocks of the Ladakh Range, (5) the Druk school is beside the the largest and most beautiful stupa field in Ladakh (6) Naropa Palace, beside the school, has a good cafe with convenient parking (7) there are good homestays near the school. 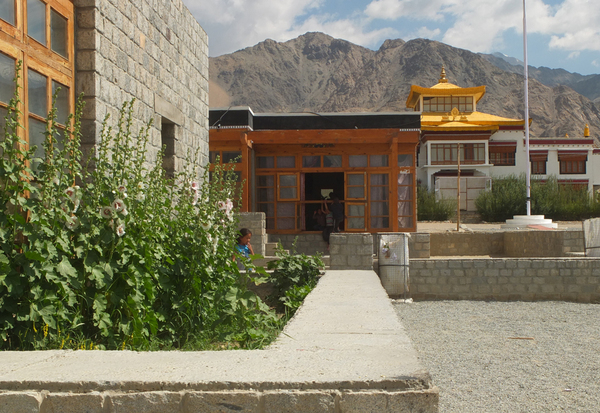 In 2012 landscape architects from the University of Greenwich began work on a landscape master plan and garden design for a Dragon Garden for the Drukpa Trust and School.